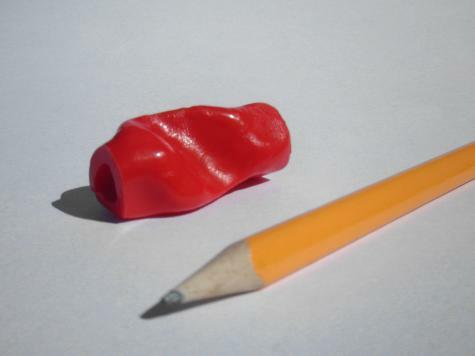 You can use Plastimake to create an ergonomic pencil grip that fits your own fingers precisely. First, we wiped a little Vaseline onto the pencil to ensure the grip didn't fuse to the pencil. Next we wrapped a small amount of dyed Plastimake around the pencil and pinched it with our fingers to form it into the correct shape. 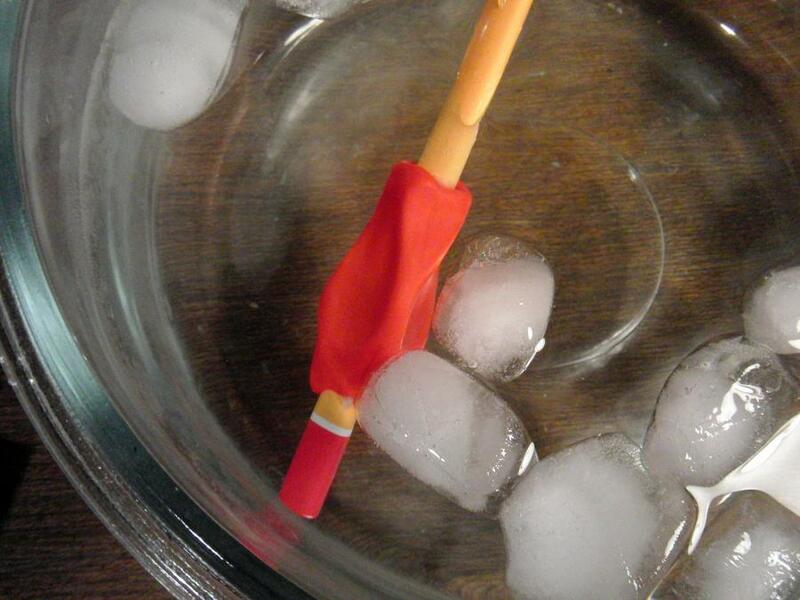 Finally, we dipped it in ice water to lock its shape. The result is pretty comfortable! 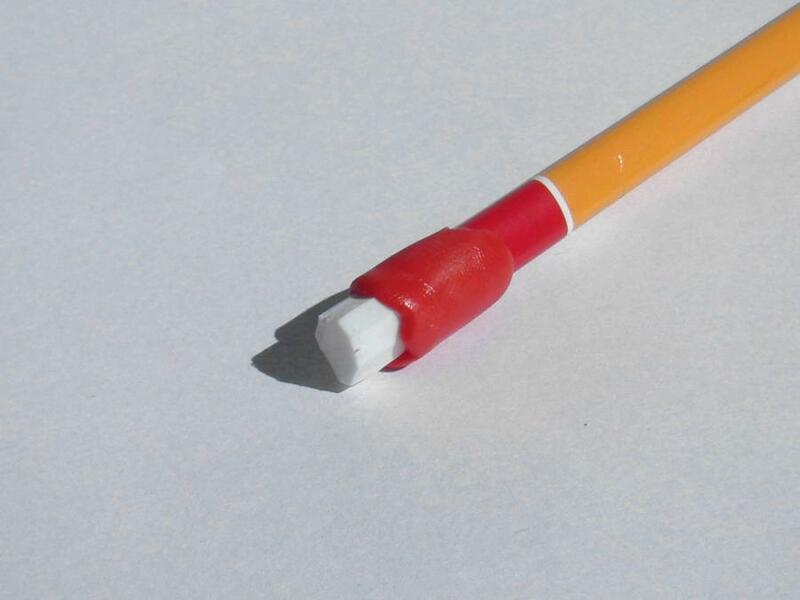 We had a little bit of warm Plastimake left over so we added a simple eraser tip to the end of the pencil. 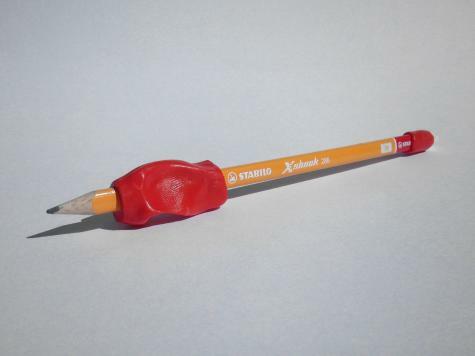 This pencil grip uses 6g of Plastimake.